Is there any badge in Chevy muscle car lore that doesn’t excite gearheads like SS? How about when it has the magic numbers 454 under it? For a few brief years, the El Camino was available with the big block 454-cubic-inch LS6 V8, pumping out an impressive 365 horsepower. But all those horses went to the rear wheels, and unless you’re hauling anything in your trucklet, there’s no weight back there. 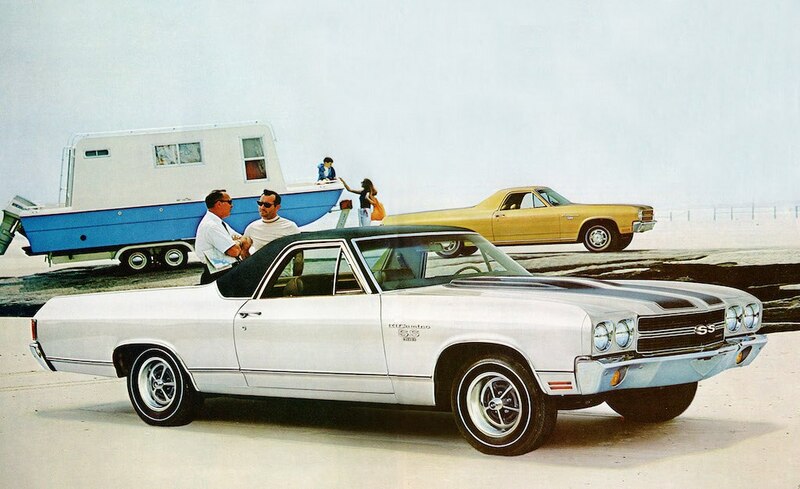 So as cool as they were, the big block El Caminos could be a real handful to drive. The Torino has that undeniably cool ’70s-era big car vibe about it. It’s muscular and imposing, with wide Coke-bottle fenders and an undeniable presence. Plus, it became an icon as the coolest cop car on TV thanks to its role on Starsky and Hutch. Although there’s long been a market for these big coupes, there’s no hiding that they came from the depths of the Malaise Era. With numb steering, awful fit-and-finish, a 2-ton curb weight, and a maximum 260 horsepower from a massive 7.5-liter V8, the Torino is more of a looker than a performer.